I have finally dined at The Ledbury. Having lived in London for almost four years now, it has been one restaurant on my must do list since I moved here. And it certainly lives up to its reputation. I was surprised by its obvious lack of stuffiness, rather it exudes elegance and understated class. The staff very friendly and welcoming instantly make you relax into what is a very memorable dining experience. Boasting two Michelin stars, the food is all class. 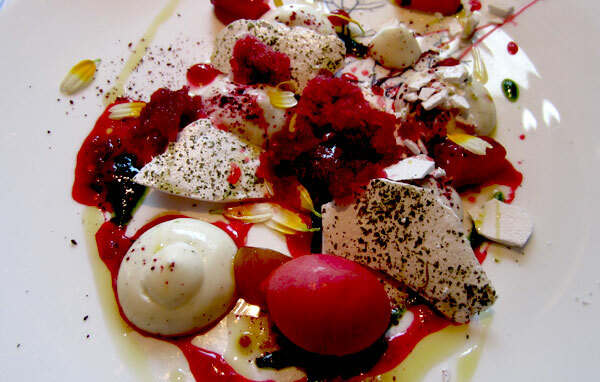 At the helm of Aussie chef Brett Graham, each dish is as exciting in flavour as it is beautifully presented. 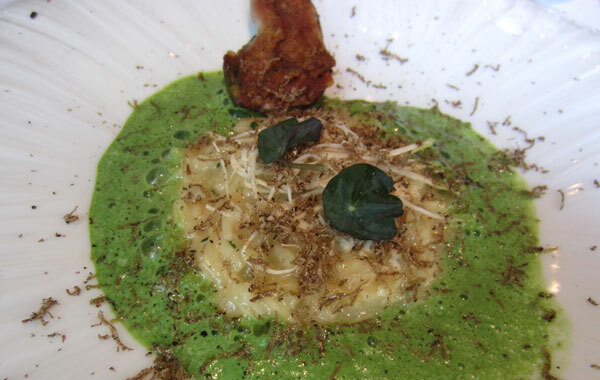 I started with a stunning potato and pea risotto with a crispy partridge confit. 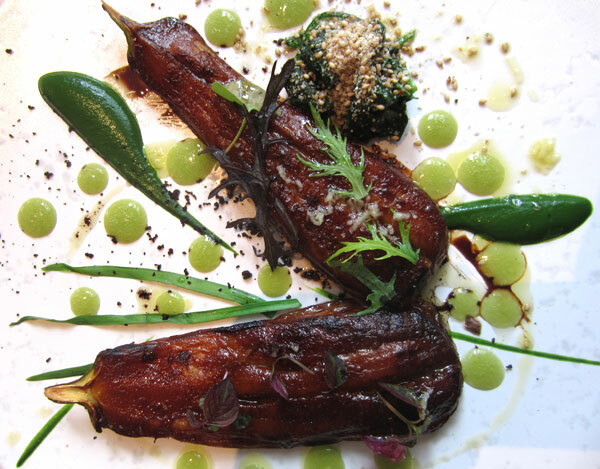 One of the stand out dishes was from the vegetarian menu, silky aubergines sweetly charred with sugar and garlic with a sharp spinach purée. Subtle Asian flavours really complimented the smokey aubergine. 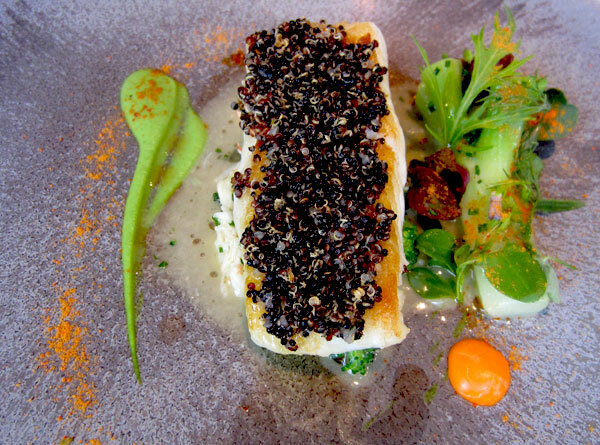 A succulent piece of brill was topped with crunchy black quinoa and drizzled with a hint of cream. Slightly sweet in flavour it was absolutely delicious. And then came dessert. We deliberated for some time over our choices, and clearly noticing the difficult decision we had to make, after ordering three, five desserts were presented at our table! Our waiter cheekily saying, we thought you better try all five! A little embarrassed but like kids in a candy store our eyes lit up! And so we gluttonously tucked into our dessert buffet. I think the squeals of delight at each mouthful were justification enough that we were very pleased with our windfall! 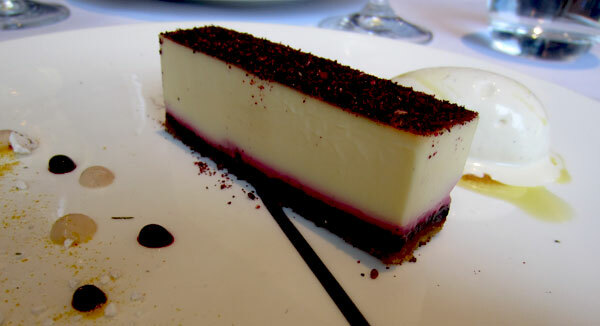 Blackberry cheesecake was a perfect balance of sweet and tart. Smashed up plums, meringue, sorbet and marshmallow was the ugly duckling of the desserts, a confused concoction on the plate but a delight to taste. We dived into a passionfruit soufflé which was at least 3 inches in height and delicately dreamy. 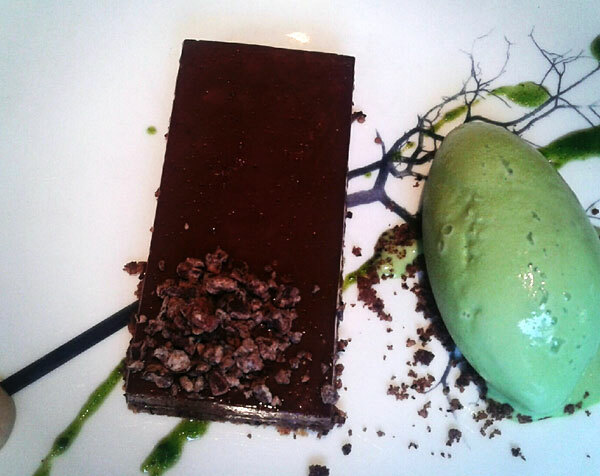 A ridiculously rich chocolate torte was the devil’s dessert but perfectly paired with savoury lovage icecream cutting through the sweetness. And of course these delights could not be enjoyed without the perfect dessert wine. A German Riesling with delicious pineapple notes was far too easily consumed. It is no wonder that The Ledbury has been pronounced London’s best restaurant, it is a sensational experience and one that I hope to enjoy again very soon.